L-F-A. No it’s not your 13-year-old sister’s favorite boy band, it’s the new Nürburgring raced, 552 horsepower, lightweight super car from Lexus. 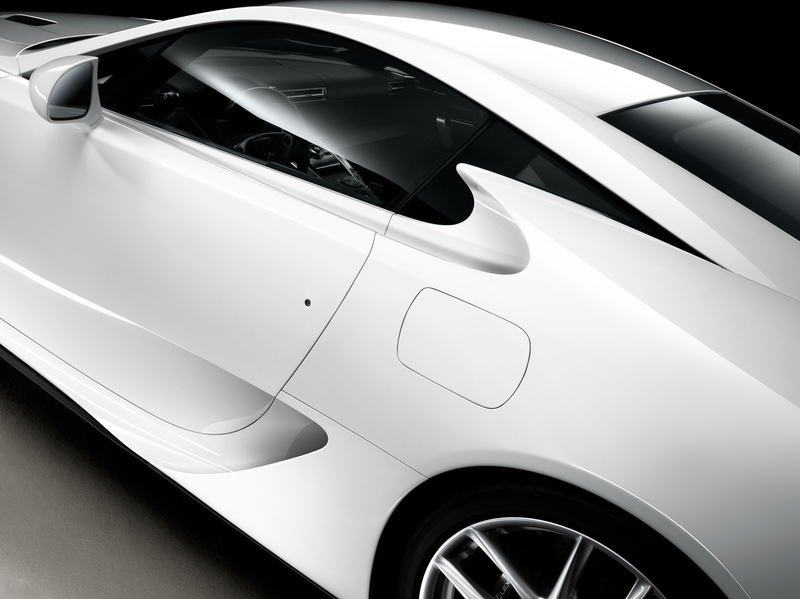 The first ever super car from Lexus was developed by a group of handpicked engineers for nine years with the goal of creating a supreme driving experience. 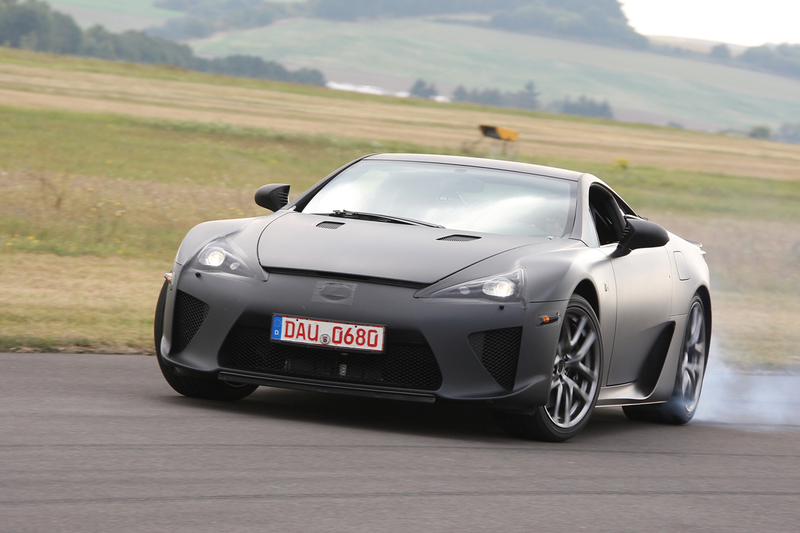 Drawing upon Toyota Motor Company’s history in the textile industry engineers were able to use Carbon Fiber Reinforced Plastic Construction (CFRP) to give the LFA a curb weight of only 3,263 lbs. 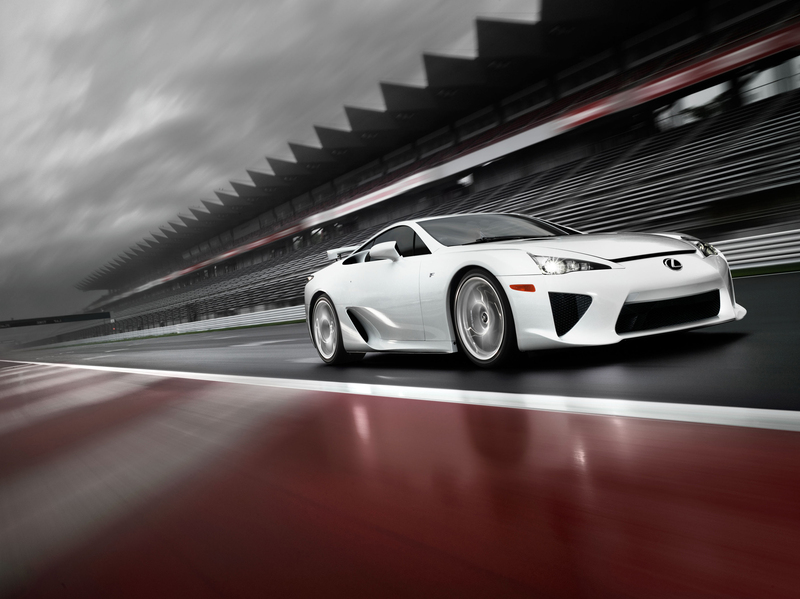 The center section in the Lexus LFA is four times stronger and 200 lbs. 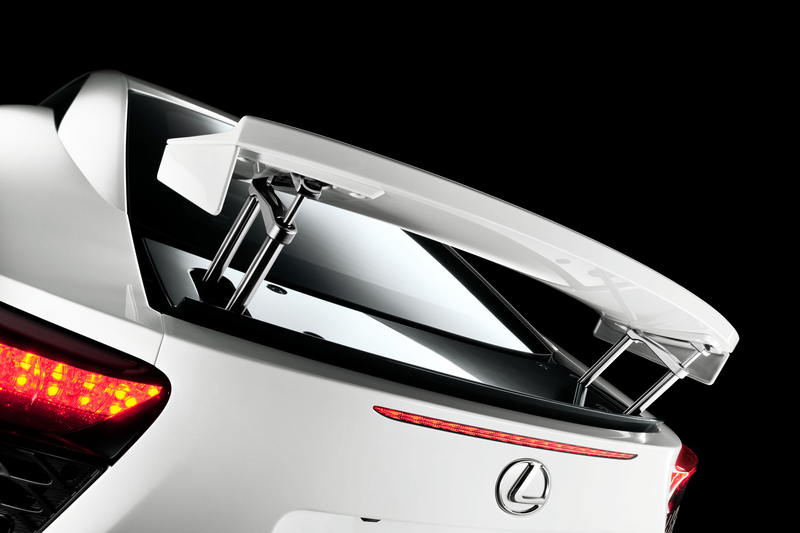 lighter than a comparable aluminum body with the use of CFRP. 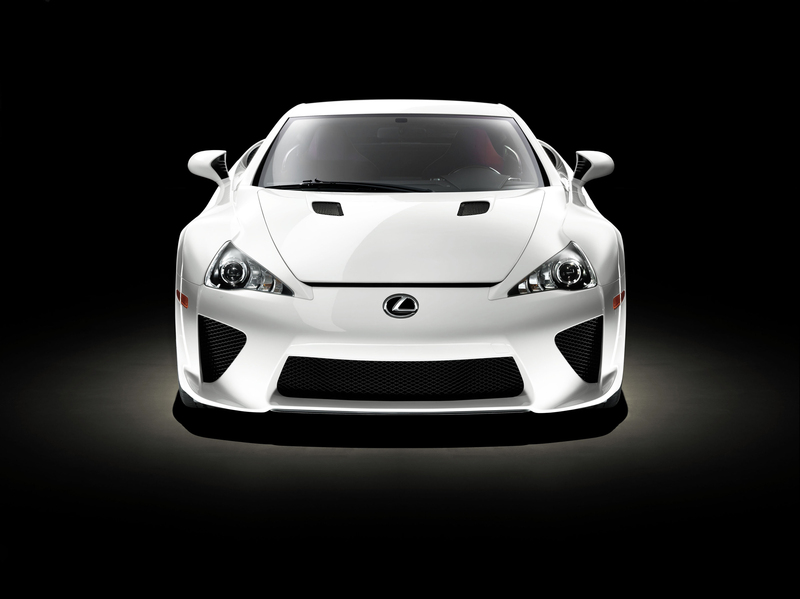 A specifically designed V-10 engine was developed with Yamaha to power to LFA. 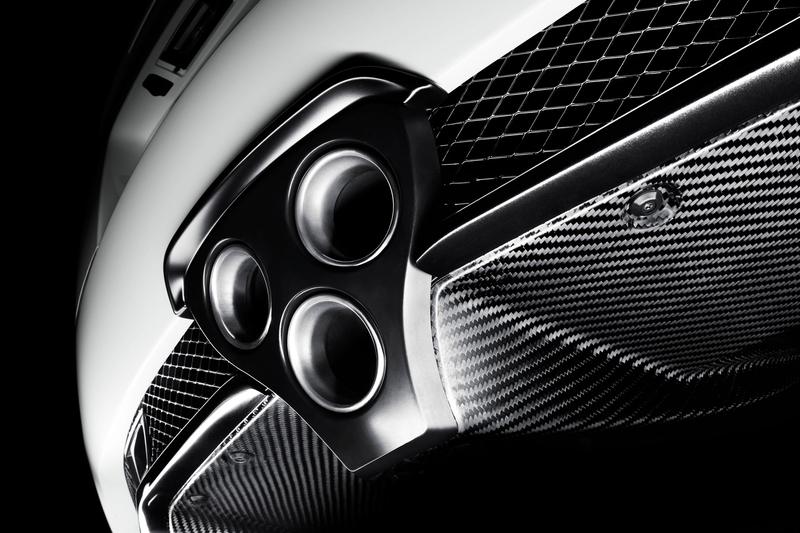 Engineers studied Formula 1 engines at maximum revs and tuned to V-10 to deliver the same unique and unmistakable sound. The small 4.8-liter V-10 produces 552 hp at 8,700 rpm and 354 lb-ft of torque at 6,800 rpm, creating an astonishing output of 117 DIN hp/liter. The 4.8-liter V-10 will feature dry sump lubrication, individual throttle bodies, titanium valves and connecting rods, a magnesium alloy cylinder head cover, and a cylinder block cast in the same foundry as Toyota F1 engine blocks. 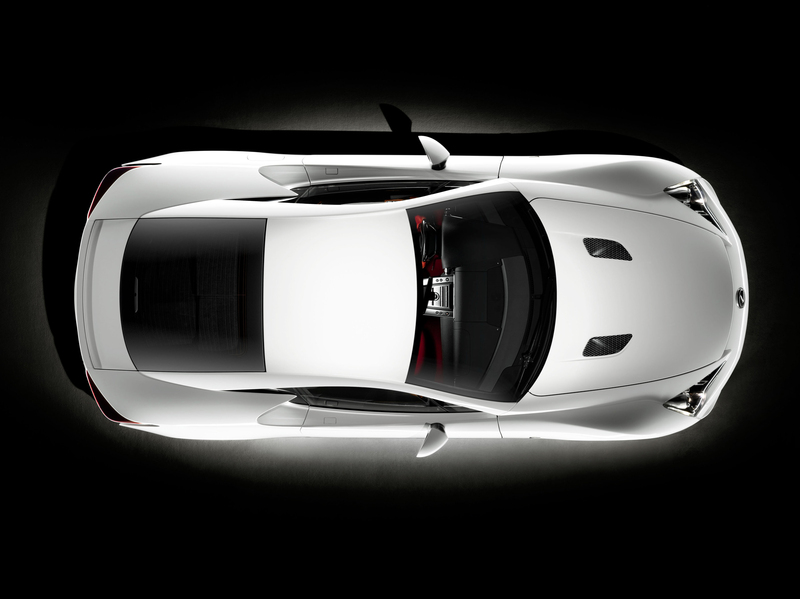 Putting power from the front-mid mounted engine to the rear wheels is a seven-speed Automated Sequential Gearbox (ASG). A weight distribution of 48:52 is achieved with the gearbox mounted transaxle. 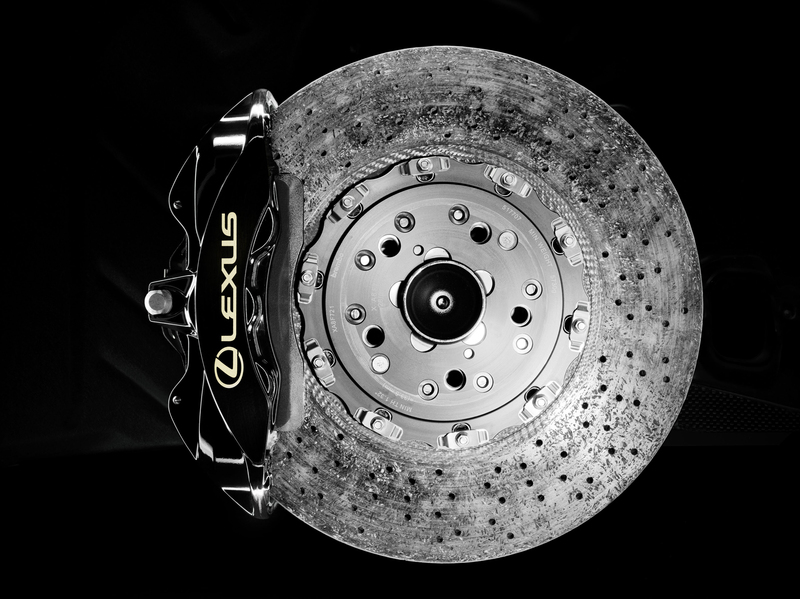 A super-light and responsive clutch allows for shifts as quick as 0.2 seconds. Steering wheel column-mounted paddle shifters allow for driver control along with four driving modes: Auto, Sport, Normal, and Wet. 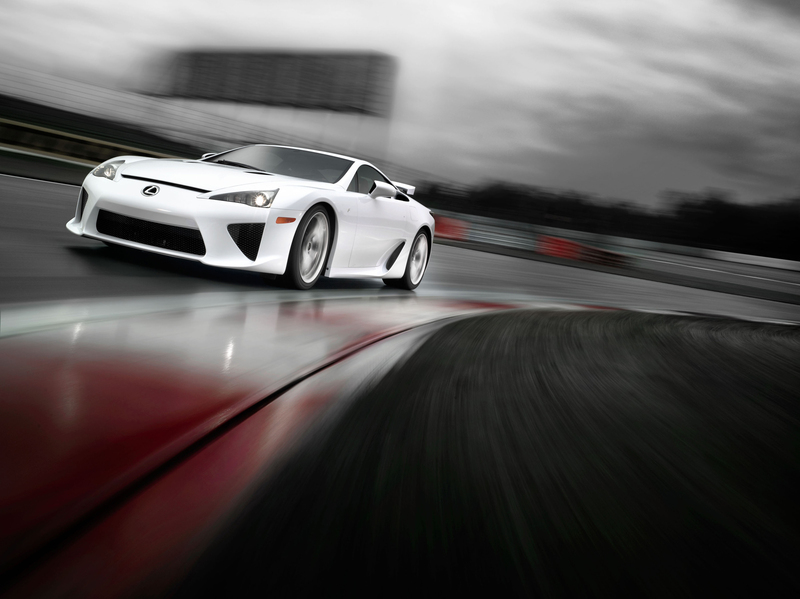 Revving to the 9,000 rpm redline only takes six-tenths of a second requiring the use of a digital tachometer. 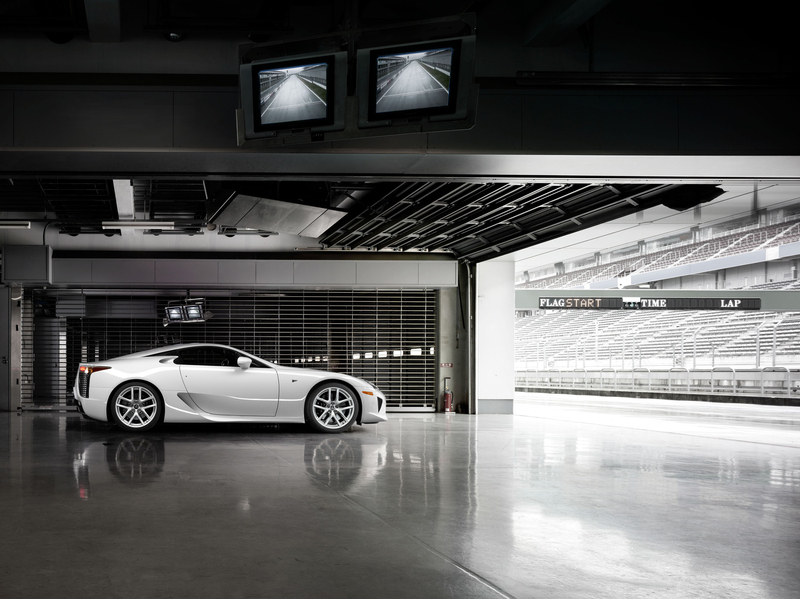 The Lexus LFA was designed using the L-finesse philosophy to create a clean, muscular, and athletic form with a low drag coefficient of 0.31. At the center of the cockpit is an LCD panel with a tachometer display that glows red when the driver exceeds 9,000 rpm to indicate an upshift is needed. A stopwatch system is available to display fastest lap time, previous lap time, and total time. A 12-speaker sound system was developed and is 37% lighter than the optional 12-speaker Mark Levinson® Premium Surround Sound System. 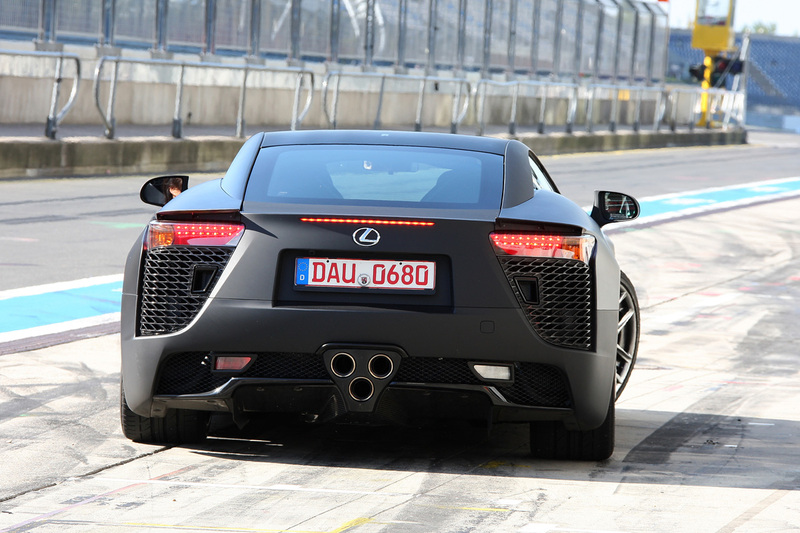 In 2008 and 2009 Lexus entered the LFA in the grueling Nürburgring 24 Hours race as a testing ground. 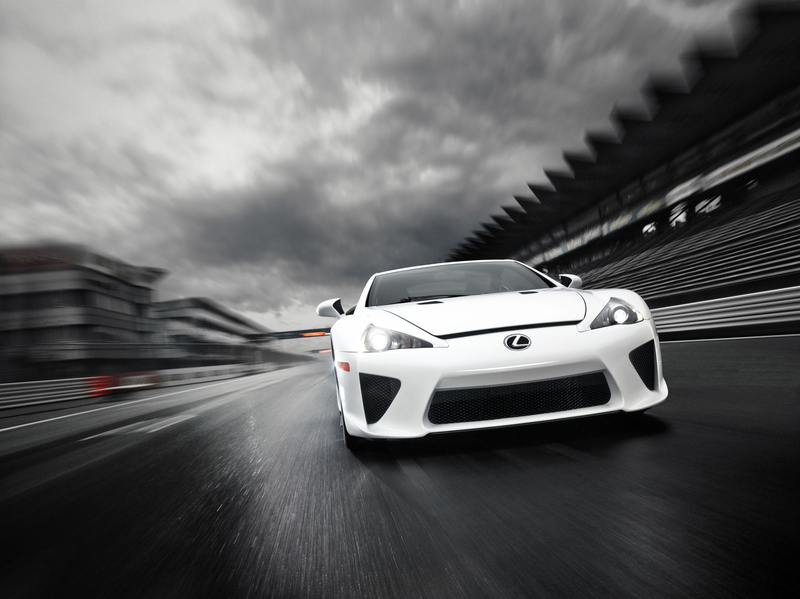 Parts of the Lexus LFA such as the engine and transmission mounts, double wishbone front and multi-link rear suspension, and Carbon Ceramic Material brakes have all been used and tuned in both 24-hour races. 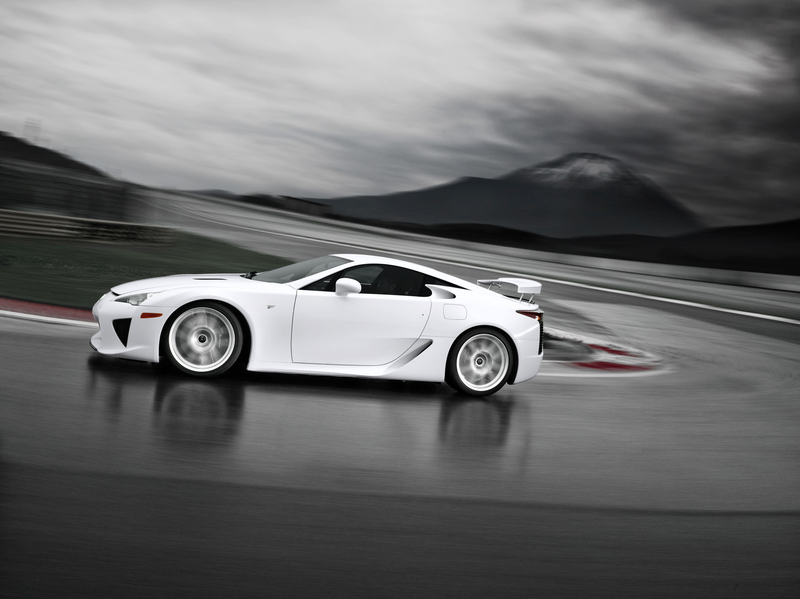 The Lexus LFA will be a rare sight with only 500 to be built. 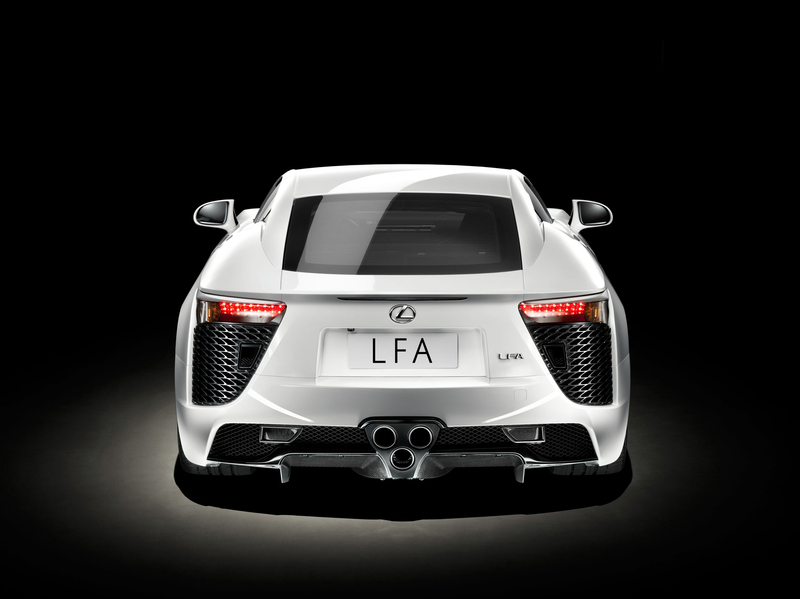 No more than 20 cars will be built each month at the LFA Works at Motomachi plant in Toyota City to ensure craftsmanship and build quality. Each V-10 engine will be hand built and signed by one engineer. Production will start in December of 2010 with an estimated base price of $350,000. Curb Weight: 3263 – 3483 lbs. Gross Vehicle Weight: 3748 – 3858 lbs. Fuel Tank Capacity: 19.3 gal. Minimum Ground Clearance: 4.5 in. 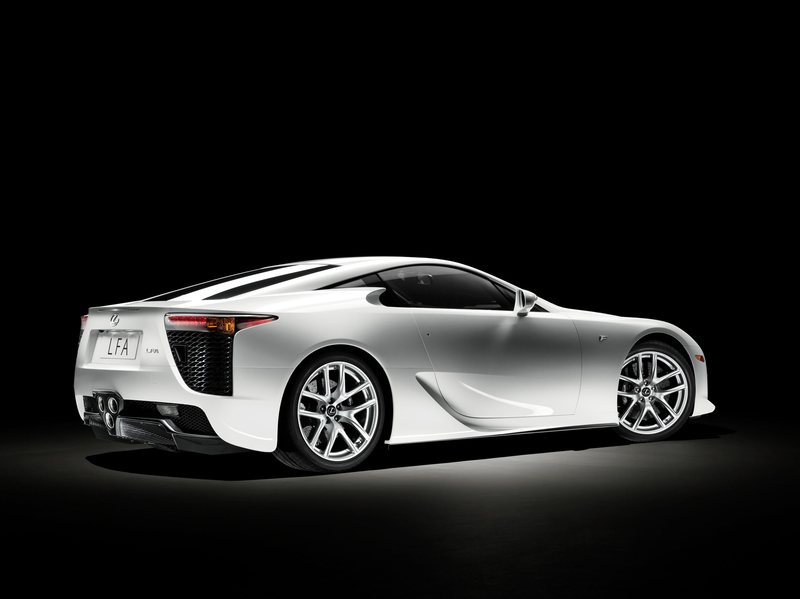 What do you think of the Lexus LFA?